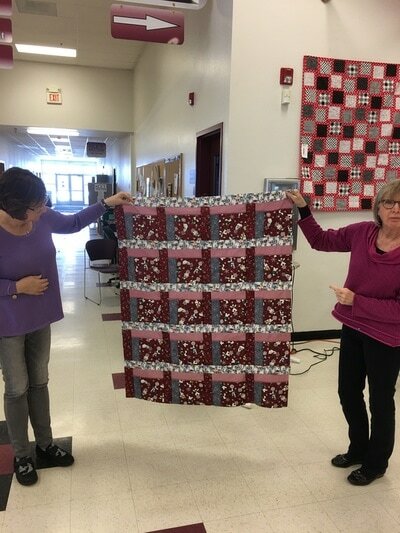 Contact Judy- sartor@nctv.com if you need a Shasta Lily Quilt Guild label. 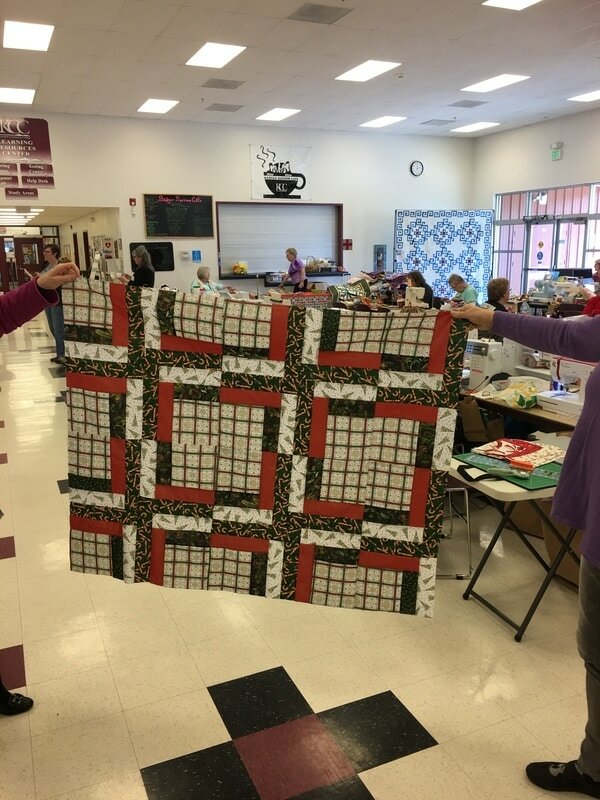 The Mount Shasta Lily Quilt Guild is an active participant in the Klamath Chapter of Project Linus. 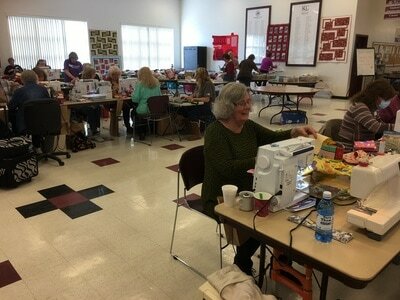 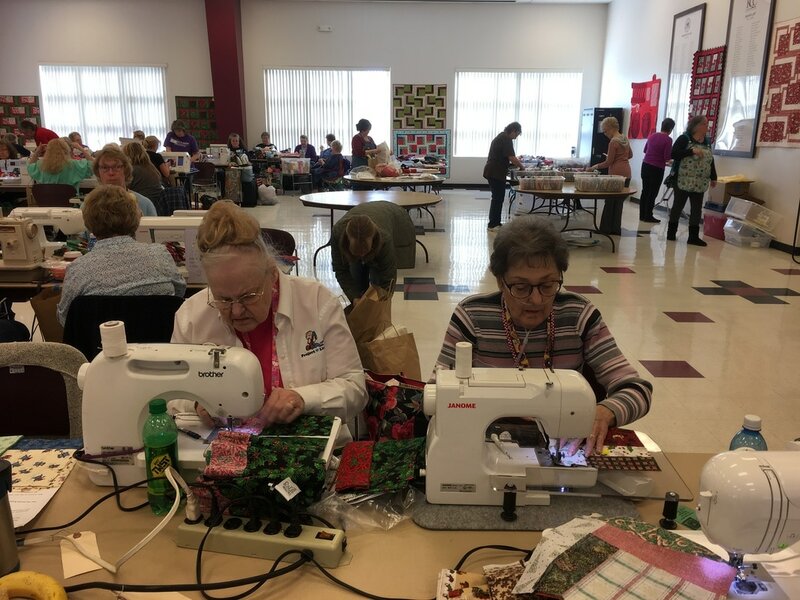 We hold our own Project Linus Sew Days and participate in twice-yearly region-wide Sew Days in Klamath Falls . 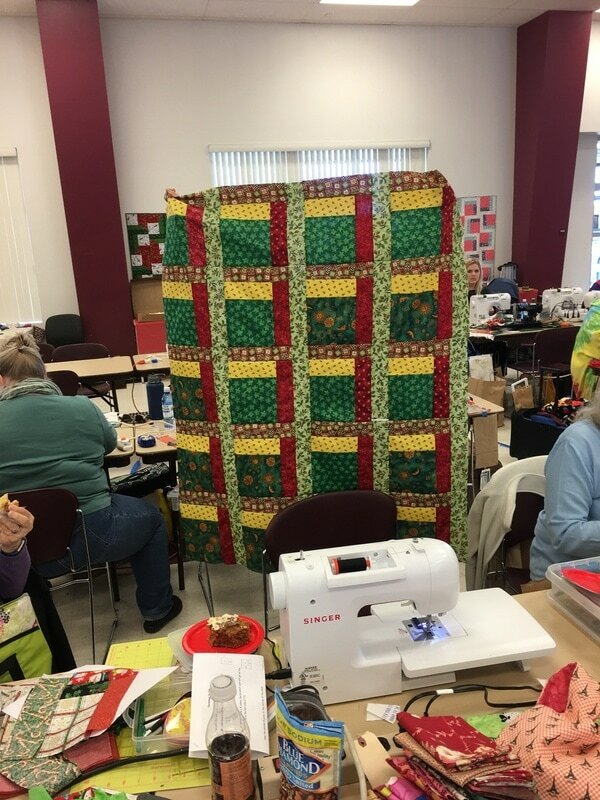 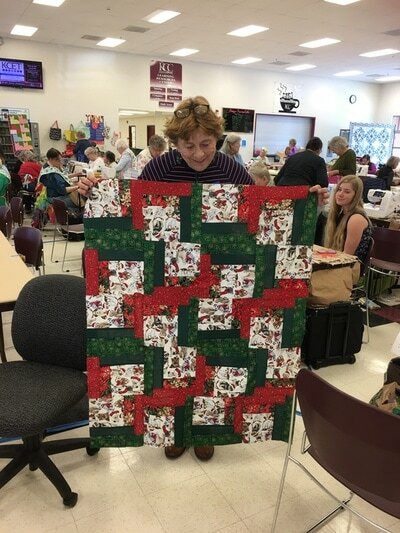 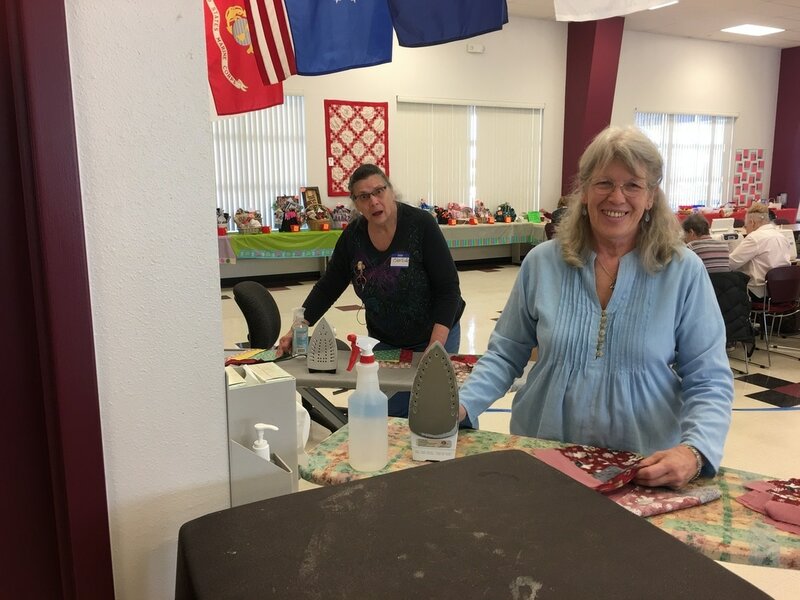 Additionally, Project Linus Representatives have a booth at “Quilting Around the Mountain,” and there is a special Project Linus category for donated quilts. Check out the activities of this organization at the local website.www.orcalprojectlinus.org Sign-up for weekly updates with Trudy Novak, Coordinator of the Klamath Chapter trudy@orcalprojectlinus.org. 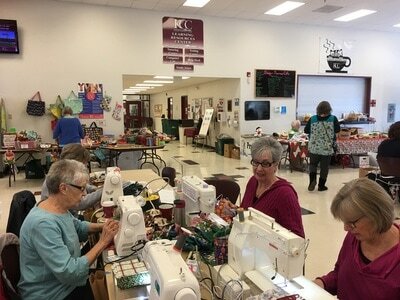 Day"- every April & October in Southern Oregon. You receive a kit to make a quilt top (which more or less gets completed that day.) ~Then you take it home to finish, label & turn it in.In addition there are drawings, prizes, shopping with blanket bucks, plentiful food and tons of laughter & good times! 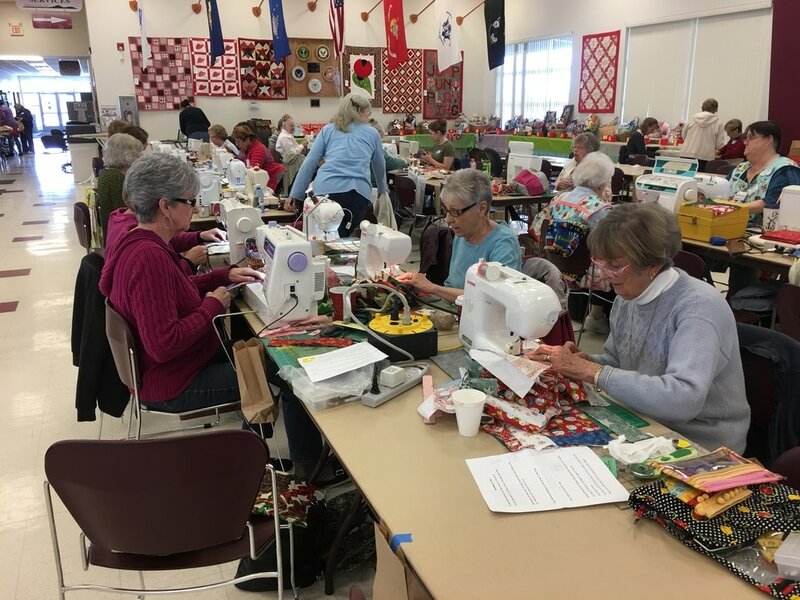 First, it is their mission to provide love, a sense of security, warmth and comfort to children who are seriously ill, traumatized, or otherwise in need through the gifts of new, handmade blankets and afghans, lovingly created by volunteer "blanketeers." Second, it is their mission to provide a rewarding and fun service opportunity for interested individuals and groups in local communities, for the benefit of children.